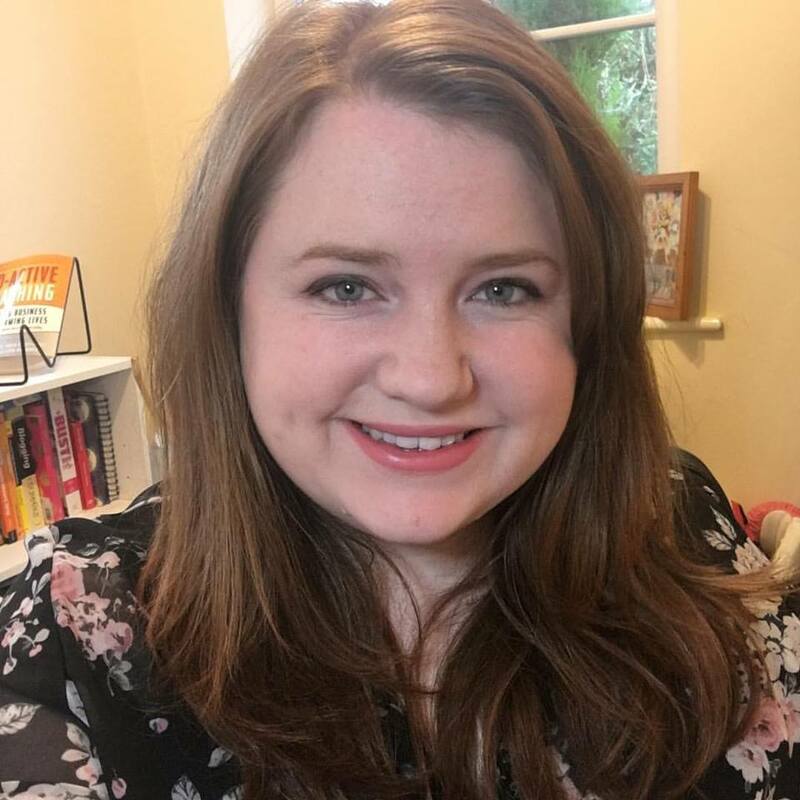 This week, the lovely Leanne has written a guest post on the feast/famine cycle of freelancing – something that a few people have asked about recently. Read on for some useful advice on how to deal with the up and down financial situation of working for yourself. There’s nothing quite like being able to work for yourself. It’s liberating to know you’re your own boss and it offers a kind of freedom like nothing else can—yes, it may be hard work but you get to reap the rewards of success, but it isn’t without its issues. There’s one aspect of freelancing that doesn’t always get the attention it deserves yet can be tough to get accustomed to, and that’s the feast/famine cycle. 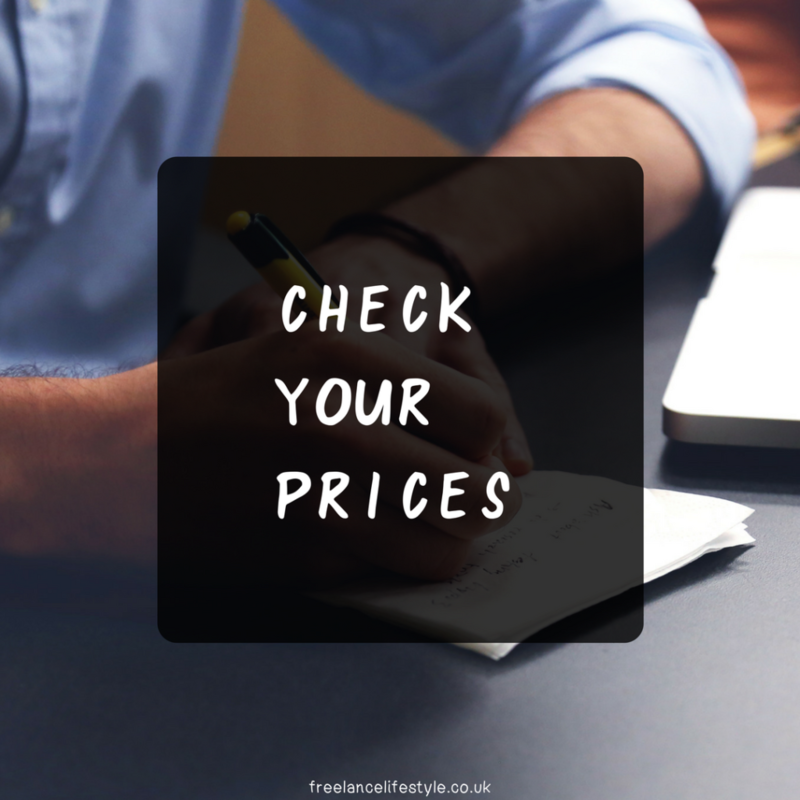 Think freelancing means you’re going to be rolling in cash month in, month out? Sorry to burst your bubble, but it’s time to think again. Yes, your earnings can technically be limitless—you’re free to work as much as you want and can set whatever rates you see fit—but it isn’t always that easy. You have to actually get the work in for it to all come together, and unfortunately it doesn’t always go according to plan. It doesn’t matter how effective your marketing efforts are or how many steady clients you have, you can never tell what’s around the corner. You don’t have the luxury of having a fixed income each month which means you need to be prepared for the fact that some months will be better than others—in fact, some months you could have so much cash coming in you don’t know what to do with whilst others you’ll be scraping the pennies together. Don’t be cocky with money. When times are good it’s easy to start getting a bit reckless. You might shop in slightly more expensive places, go to pricier restaurants or simply treat yourself more often, and whilst you deserve a bit of luxury you need to stay sensible. Yes, you want to bask in your success, but that invoice you just got paid? It could be the last one you get for a while, so don’t get cocky. Don’t get complacent. You’ve got a steady income, a solid base of clients and plenty of projects to keep you going, so you hold off on the marketing and let yourself relax for a bit. But what about when those projects reach their conclusion? What if clients decide they don’t need your services anymore? It can be a huge jolt back to reality and can put a serious dent in your income, so always keep up with your marketing efforts and keep a lookout for new income streams. Remember the tax man! Ok, the tax man may not be high on your Christmas card list, but that doesn’t mean you can forget about him. He’s reviled for a reason—don’t pay your tax and you’ll suffer the consequences, and don’t leave it too late to start thinking about saving. You may not be getting money automatically taken out of your paycheque but you should treat it in the same way, so make sure to save a bit back each month (ideally in a separate savings account so you can keep track of things) because there’s nothing worse than knowing you’ve got to raise thousands of pounds out of nowhere. It’s all about being sensible. Going freelance can give you huge amounts of freedom but it needs more dedication, commitment and perhaps even common sense than any other way of working, so the rule to remember is this—enjoy the feast, but prepare for the famine! Once upon a time working from home was shorthand for waiting in for a washing machine to be delivered. Fine for a one-off but impossible to do full-time. 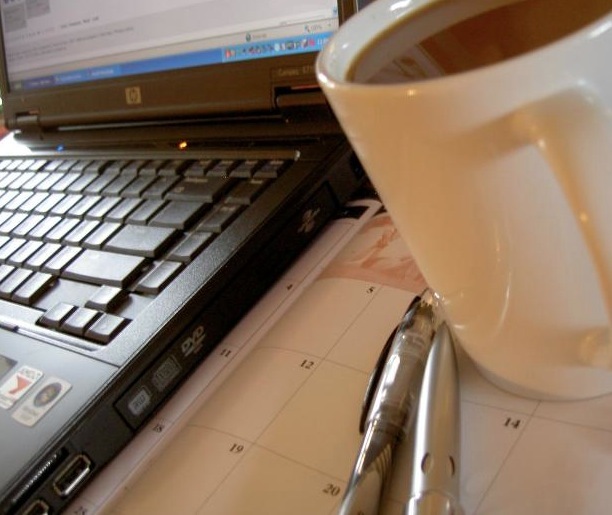 Now with broadband, laptops, Skype and robots (ok I made that last one up) having a home office is fast becoming the smart way to eliminate time-wasting travel and work in a more flexible way. It’s practical, it’s cheap and for working mums it’s often an ideal way to continue a career in-between the tyranny of the school run. 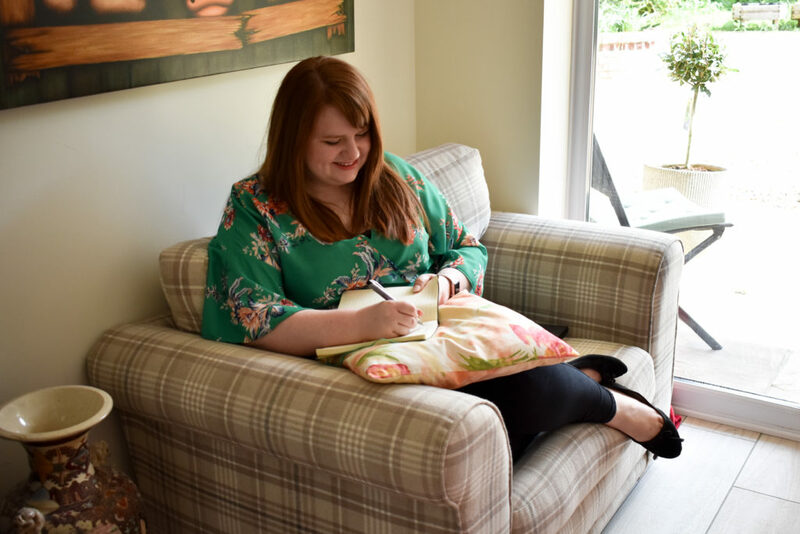 Working from home may seem like the answer to all your prayers and swapping the inane chat of work colleagues for Woman’s hour is in itself a thing of joy but it’s worth remembering that the pros of working at home are also the cons. Not having to leave the house may mean less time wasted on the dreaded commute (no more listening to the tinny beats of an overloud iPod on the train or scraping ice off your windscreen at 7am on winter mornings), but it will mean you have to discipline yourself to ignore household obligations and get down to the task in hand. Procrastination in the form of the ironing pile is not unheard of and daytime telly has to become a no no. Watching the Wright Stuff is not “research” it’s skiving. So how do you change your mindset from duvet dayer to office worker? One of the easiest ways is to create a workspace that screams productivity. If you are lucky enough to have an entire room to devote to your office this is an easier task-keep all family life out as much as possible (no Lakeland catalogues nestling next to the report you need to read) and once the door is shut behind you consider yourself at work. Give yourself scheduled breaks and don’t allow yourself to be distracted by what next door is doing in the garden or by poking people on facebook. If you are having to work from the kitchen table or in the space under the stairs (like Harry Potter with a laptop) try and ensure your working area is free of any other household clutter and invest in some file boxes so all paperwork can be neatly stored away. This will be your saving grace once the family come home and your “hot desk” becomes unrecognisable under that particular brand of debris, which can only be created by children. Like space junk, but stickier. Educating others that being at home is not the same as being available is possibly one of the greatest hurdles to overcome. You may find at first that friends think its fine to drop over for coffee it’s not. You are not Starbucks despite what the squashy sofa and magazines strewn everywhere might suggest. Keep that kettle switched off. Working from home does allow a certain sense of personal freedom and this can be harnessed to great effect-if you are having trouble with a particular problem or need to formulate a plan of action being able to step outside into the garden for a few minutes to clear your head can make all the difference and with no outside distractions you will be amazed how more efficient you will become. Try and remember to get dressed occasionally though-padding around in your dressing gown may be liberating to begin with but meeting clients wearing reindeer slippers may not give the right impression. Just a quick post today with an infographic created for the lovely Work From Home Wisdom team. 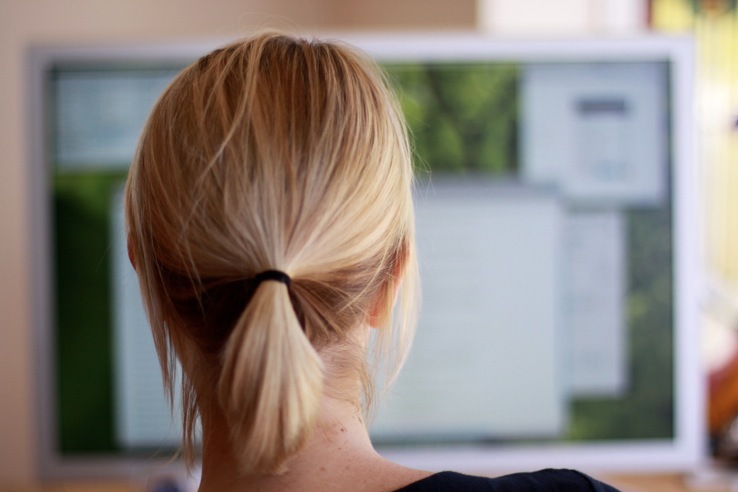 The UK site is run by Judy Heminsley, and it’s got a HUGE collection of photos people have submitted of their home offices – so she knows what she’s talking about when it comes to setting up a home office. Have a browse of her office galleries if you get a minute. Or an hour. You can then submit your own office by emailing a picture over to them. I’m planning to do that…as soon as my desk looks less like a bomb site. This week’s poll addresses a problem a lot of freelancers have: maintaining a work life balance. Funny really, considering how many people go freelance in order to work around their family or friends. But emails, flexible deadlines and varying workloads mean that it can be hard to tell where and when work ends and life begins. 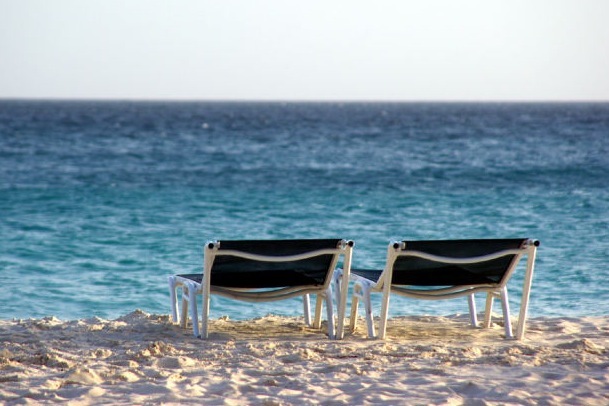 I’ve talked in the past about how to improve work life balance. Whether it be outsourcing parts of your life, dealing with freelance fatigue or making sure you fit exercise into your freelance life. I suspect that very few of us manage to get that work life balance perfect, all the time. But now it’s over to you! Let me know how you make sure you get work life balance (you can choose multiple answers)- and if the option isn’t below, leave a comment below and share your balancing secrets. None of these? Let me know how you do it below! 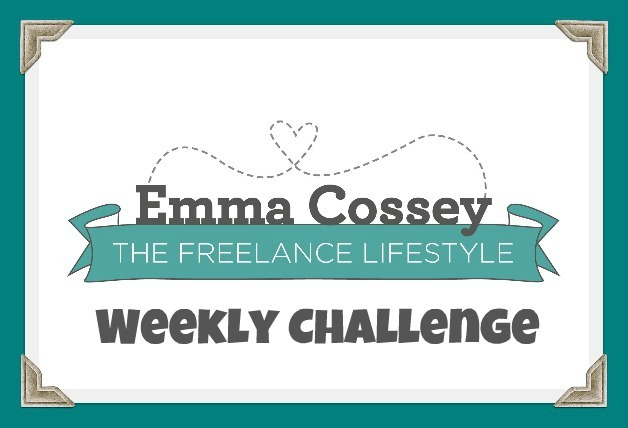 The Weekly Freelance Challenge does exactly what it says on the tin. Each week, I’ll set a challenge that I will take part in, and it’s open for anyone to join in. One week it might be about improving productivity or finding new clients, and the next week it might be about how to lead a healthier freelance lifestyle. Feel free to join in and leave a comment with your progress, leave a comment on my Facebook page or use the Twitter hashtag #TWFCUK (a football team have nabbed TWFC!). Last week’s challenge was all about updating your Twitter bio. I gave mine a bit of a rewording, and threw in a few more keywords. How did you get on? Did your bio need an updating? This week is another simple one, but one that you might feel a little shy about: asking for recommendations. A great recommendation (or even better, several great recommendations) could be just the trigger for a potential client to get in contact if you display them on your website. I’ve got them in my packages section if you want to see some examples. It’s a scary thing to ask for, but most people are more than happy to provide one. I’ve had the odd bit of business through this when I’ve used the LinkedIn method too, so it’s worth doing. Do it through LinkedIn. This is the easier method if you’re shy, as you can just send a request through their website as a standard business procedure. The other benefit of this method is that it will be displayed on your page, which will add more oomph to your profile. I like oomph. Once you’re done, let me know how you’ve got on in the comments, or on Twitter using the hashtag #TWFCUK! The revamped Freelance Lifestyle has been going for a few months now, and I wanted to celebrate and say thank you to everyone who’s been reading and commenting by running a little competition. I figured as it’s a website and blog dedicated to freelancers, it makes sense to have something that can be used for business. 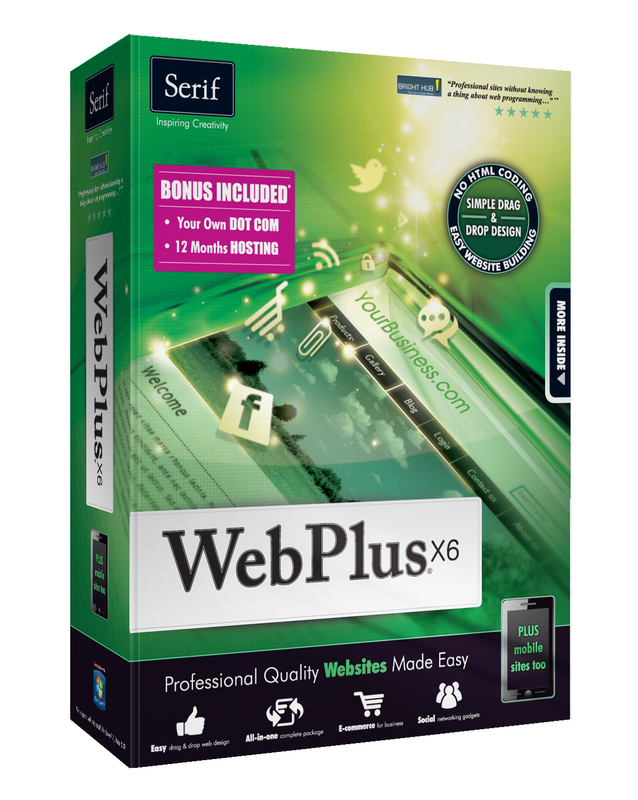 The WebPlus X6 is a piece of software that you can use to whizz up a website quickly, whether it’s a fancy business website or a lifestyle blog. It’s by creative software developer, Serif, and it’s worth £81.69. Plus, it includes your own .com domain and 12 months hosting. Fancy winning this handy piece of software? Excellent, it’s easy as pie! All you need to do is leave a comment below telling me three of your favourite websites (basically, because I’m nosy and love hearing about new websites!) Closing date is next Friday, the 13th July, at midnight. T&Cs: One entry only per person please, and the competition is only for those living in the UK and ROI this time I’m afraid. Please make sure you fill in your email or leave your Twitter username below so I can contact you if you win. There are no cash alternatives, and I won’t pass on your details to any other companies.